Neal Layton was born and raised in Chichester, West Sussex. While he was growing up he spent much of his time playing in the dirt, making homemade catapults and drawing pictures. He went to Art College studying Graphic Design and MA Illustration at Central Saint Martins. Are trees an important part of your life? I live in Portsmouth and there aren’t that many trees there. So when we go to the countryside, which we often do, it makes a big impact on me. Compared to a city the countryside seems so green. Everything’s living! Also, like most people, I’m extremely concerned about the environment, and I see it as a really important issue, especially in children’s lives. If the opportunity comes up, I like to write and illustrate about issues concerning the natural world for children—and that certainly is one of the reasons why I created my book The Tree. In fact, it was only when choosing my five books about trees for this interview that I realised that each of these books points towards, or has influenced, my own book about a tree—it’s been a great opportunity for me to reflect on them. My book only has about 40 words and it took four years to write, which is completely ridiculous. In fairness, I’m sure you would have been busy with other projects at the same time. 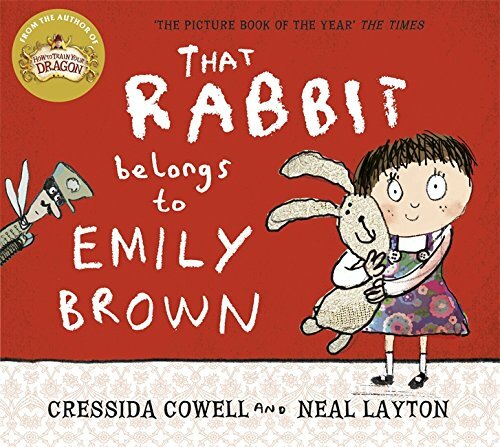 I’m lucky to work with some high-profile authors like Cressida Cowell and Michael Rosen. I’m always illustrating other people’s books. However, I do like to have a few ideas of my own in the background. Do you work quite closely when you illustrate for another author? How does the relationship work? It’s as close as other people’s schedules will allow—but yes over the years we’ve developed a mutual trust. I’ve been working with Cressida and Michael for over ten years. In that time, they’ve come to understand my work and I’ve got to know their writing. Thankfully they are generally happy with what I do. Your first choice is The Lorax by Dr Seuss. Tell me about this book. Dr Seuss was the first author I remember really getting into when I was a kid. I used to go to library every week with my mum and I would choose books, and his series were the first ones I collected serially, going back week after week, to read them all. The Lorax was one of the later ones which I came to – I’m sure many people will be aware of it. For people who maybe aren’t, would you give a brief summary of the plot. Okay. 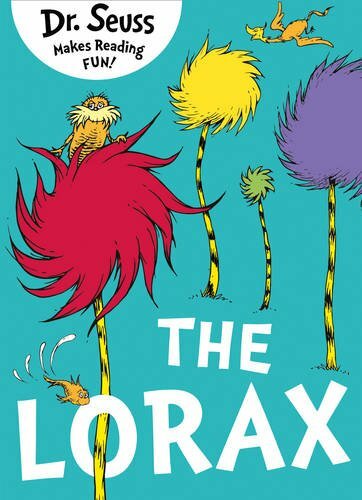 It’s about a character called the Once-ler, and how he discovered this lovely land that was full of Truffula trees, and lots of animals who lived in this beautiful natural environment. The Once-ler sees this land as a financial opportunity, and he cuts down the trees and makes these things called Thneeds out of them. He sells the Thneeds. I think Seuss was very proud of it, in terms of his own amazing catalogue. 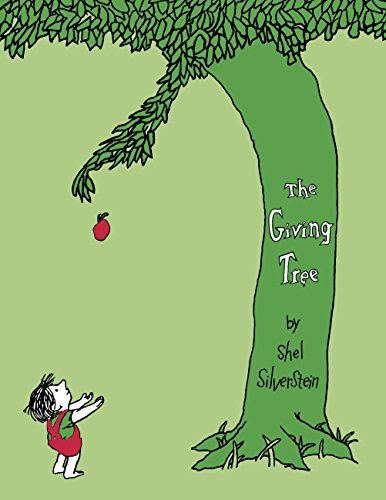 Your second choice is The Giving Tree by Shel Silverstein. It’s a bestseller, a massive book in America, which is where I came across it. Shel Silverstein is a household name there. I was drawn to it as an illustrator, mainly for its apparent simplicity, but in fact, it is actually a complex book and very hard to decode. Reading it is a bit like reading poetry. You might not completely understand the definitive meaning, but it works—there’s something there and you want to know more. It’s intriguing. Could you tell me a little more about the story? It starts “Once there was a tree”—and the tree character is introduced, and then a little boy comes and climbs the tree and gathers leaves. The boy eats apples from the tree, he sleeps in its shade, and he loves the tree. As he grows up, he moves away and the tree is left more and more alone. The boy becomes a young man and finds that he needs things like money—he wants all sorts of things! The tree gives apples for the boy to sell. Then the boy wants a house and the tree provides the wood. The tree gives up itself so that the boy can have all the things he wants. At the very end, the boy is an old man, and the tree is left just as a stump. It’s a book full of questions, but whether there are any answers there or not is another thing. I find it very powerful. 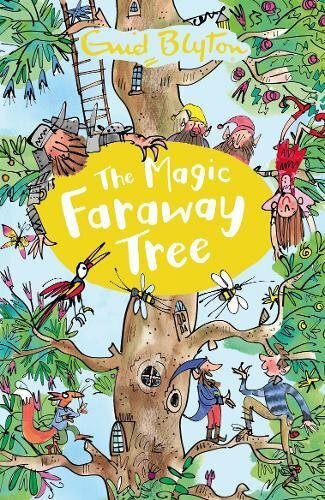 Your third choice is The Magic Faraway Tree by Enid Blyton. Enid Blyton wrote four books about the Enchanted Forest. I think the first one’s The Enchanted Wood, then there’s The Magic Faraway Tree, The Folk of the Faraway Tree, and Up The Magic Faraway Tree. As a child I just loved Enid Blyton, I avidly read as much as I could. There is just so much to enjoy in her writing. 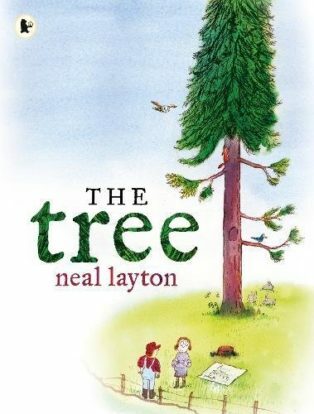 In these books, three children move to the countryside where they discover this tree in a magic forest. They are children, so of course they climb the tree! Up in the tree they meet interesting magical characters, with great names: Silky the fairy, Mr. Whatzisname, and Dame Washalot. Really, I think this is one of Enid Blyton’s best books because it’s just so creative and so gentle as well. But the story doesn’t end there. At the top of the tree there’s a ladder, and the ladder leads to a cloud, and in the cloud are different lands. Each time the children visit, there is a different land and a different adventure to have. There’s just so much for children to enjoy, and as a child I loved it. I’ve got two daughters, and we’re just about to embark on the series with our youngest now, because she’s just coming up to the right age—six to seven years. Your fourth choice is Le Sapin by Hans Christian Andersen and you’ve chosen a French edition for the illustrations. In English it’s The Little Fir Tree, I chose this particular edition because it is illustrated by Marc Boutavant, who is just an amazing, remarkable illustrator. When I first came across his work I immediately began collecting all the books I could find, and this is one of them. It’s a beautiful piece of art. And, since my French isn’t that good, I’m assuming it’s quite a literal translation of Hans Christian Andersen’s tale. It’s a funny old story. Like many of Hans Christian Andersen’s fairy tales it’s a little bit bleak. It’s about a little fir tree growing up in the forest, and he is unhappy because he’s so little. He wants to be big! Eventually he gets chopped down, taken into a house at Christmas time, dressed, and becomes the centre of attention and has a marvellous time. But then, of course, Christmas ends, and he’s taken out and put into the attic, where he relives his joyous time. 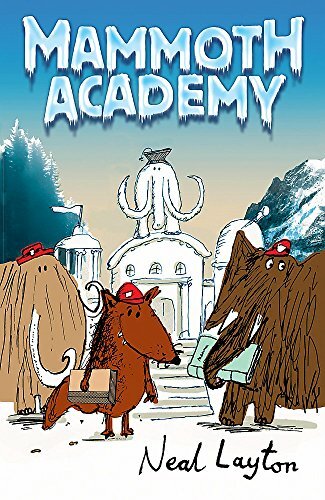 It has such a sad ending that we never read it at Christmas! But I think it’s great to see a contemporary illustrator take on this story, and make such a wonderful job of it. My children like a sad story on occasion—they quite enjoy something that pulls at the heartstrings a bit. We all do, don’t we? When you look at Hans Christian Andersen’s stories, quite a few of them are rather bleak. The Little Match Girl breaks my heart. Yes, The Steadfast Tin Soldier gets me. 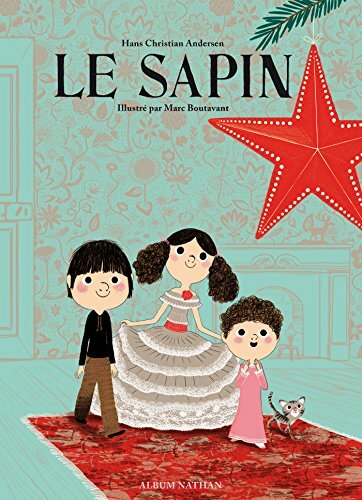 I think another reason I’ve always liked Le Sapin is because it’s written as if the tree is a little personality, which I find a strange and enjoyable way to write a book—from the perspective of a tree. 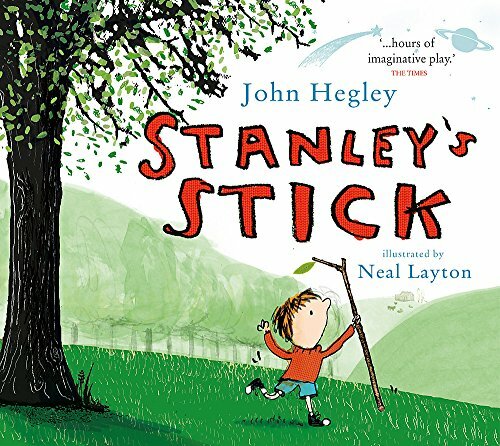 Your fifth and final tree book is Stanley’s Stick by John Hegley. 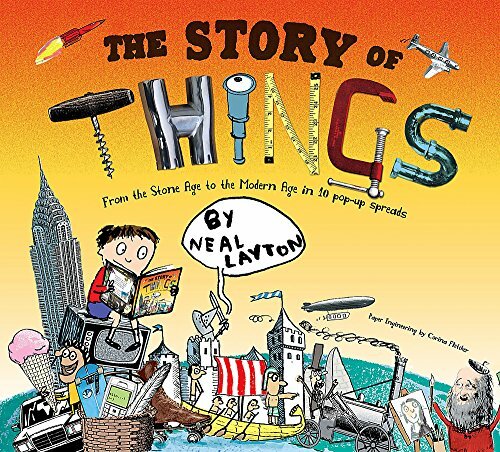 I let you have this even though you are the illustrator because this is one of my favourite picture books. It’s a great story. A little boy called Stanley finds this stick that was once part of something tall and grand. Stanley and his stick have loads of adventures together. Stanley pretends his stick is a whistle, he uses it to go camping. John Hegley’s approach to language is unique and makes this book absolutely lovely to read out loud. John Hegley is a funny man and a major poet isn’t he? As soon as you read his work, you hear his voice, simply through the way that he uses words: the sounds, and the rhythms. I think it’s a really remarkable book. And now Stanley is stick-less. This happens about halfway into the book. When I consider it, it seems such a weird thing for John Hegley to do at this point. 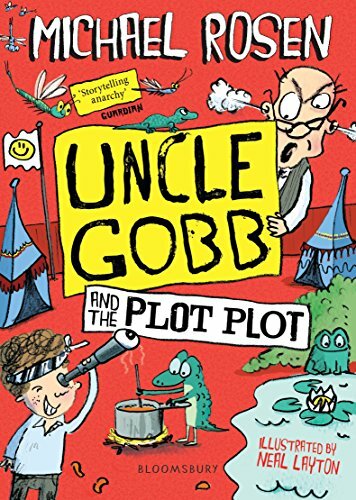 He has created the boy character, he has introduced you to the stick character, and then, before you’ve even got halfway through the book, the stick’s gone. It’s a really unusual thing to do in terms of story structure—and it works, it’s a really emotive point. But this isn’t a sad book! Stanley finds a new stick, “Alone upon the shore, which is quite different from the stick he had before.” This is a wiggly stick and Stanley calls this stick Fanta-stick, Stanley’s Fanta-stick. I think this story is about one of those incredible moments that can occur in a child’s life—but that the grown-ups just aren’t aware of. Stanley is there, on the beach, with his parents looking on and you wonder do they have any idea what is going on? Stanley has had this massive creative epiphany—and his parents are just worrying about sandwiches and suncream.